The alici (or acciughe) of Italy are plump, flavourful and among the best in the world. 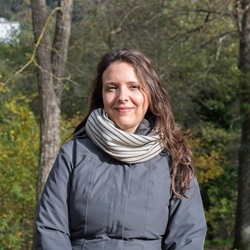 Luciana Squadrilli takes us on a tour of the country’s most famous anchovy fishing villages, and how the local cooks turn them into incredible dishes. 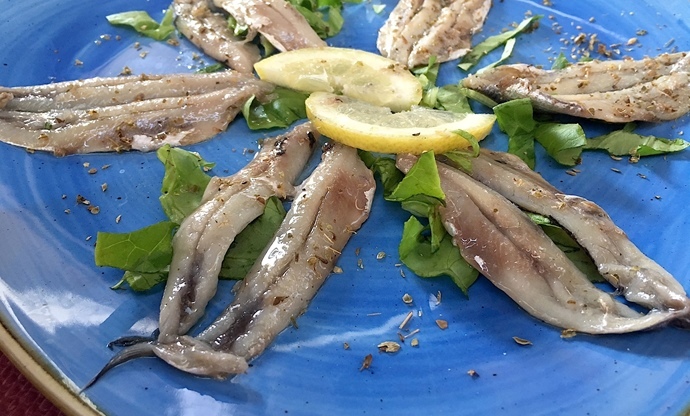 Anchovies are amongst Italy’s favourite fish. They’re often indiscriminately referred to as alici or acciughe, two words defining the same thing, even though the former should technically refer to the fillets preserved in vegetable oil and the latter the whole fish, usually packed in salt. Tasty, cheap (at least in their fresh version) and healthy, they belong to the so-called ‘pesce azzurro’ (blue fish) category thanks to the silver-blue hue of their skin, and are also known as oily fish due to the high content of fat in their flesh. Abundant throughout the Mediterranean Sea, they used to be a staple in the humble fisherman’s diet on both shores of the Italian peninsula. According to experienced fishermen, anchovies caught in the Tyrrhenian Sea are bigger, leaner and have plumper meat, while the Adriatic ones are more delicate. Today, anchovies are fished and processed in many seaside towns along the entirety of the Italian coastline; they are considered an exquisite food, especially in their preserved state, every bit as good as the famous Cantabrian varieties from Spain. Some of the products made from the fish are just as excellent, for example the famous colatura di alici (anchovy sauce) made in Cetara: an intense fish-flavoured liquid obtained by the pressing and fermenting of salted anchovies. Its origins are in the garum, a dressing used by the Ancient Romans to add taste and aroma to many recipes. In the northeast of Italy, especially in the Venetian lagoons and nearby, sardines – a similar fish, yet bigger and stockier with a slightly different taste – are more common; often mistaken with anchovies, they are cooked in saor, with pickled onions. 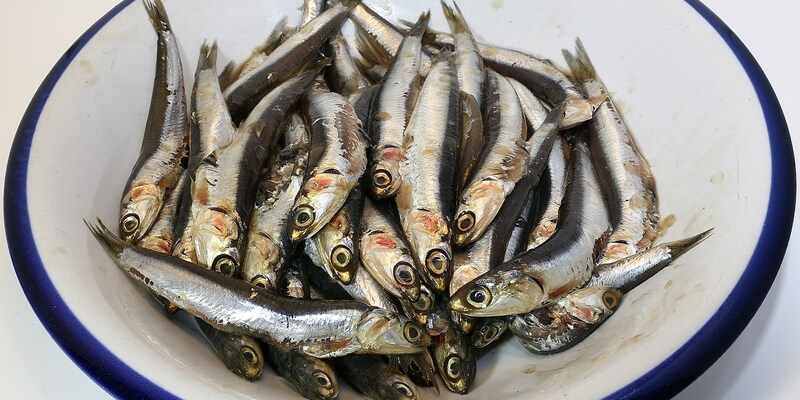 Here are some of the most renowned Italian anchovies and the traditional ways they are prepared and used in recipes. The wonderful area of Cinque Terre – five small villages facing the Ligurian Sea in the eponymous National Park – is home to the delicious acciughe di Monterosso, which is the name of the main village in the area. Traditionally caught at night by lamplight and purse-seine fishing, they are hand-gutted, cleaned and put into brine to preserve taste and texture. Locally known as pan du ma (‘the bread of the sea’) and with a delicate, well balanced taste, salted or marinated anchovies are eaten as a delicious starter – seasoned with extra virgin olive oil, garlic and oregano – while fresh anchovies are often fried or used in more elaborate recipes such as bagnun, a simple yet intensely flavoured soup made with tomato, onions, olive oil and bread croutons. All along the Adriatic coast, fresh anchovies are an essential part of local culinary traditions. 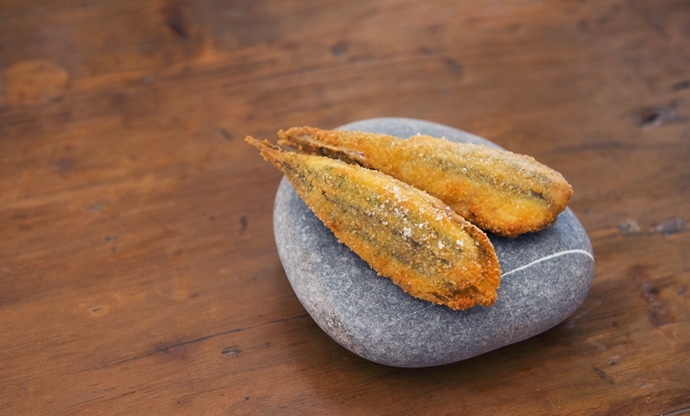 In Marche, the sardoncini a scottadito (breaded anchovies, grilled or baked) are an essential part of summer dinners, while in Abruzzo and Puglia they are particularly popular when fried or served raw, gently pickled with olive oil and lemon juice or vinegar. The picturesque harbour of Cetara on the spectacular Amalfi coast has a strong tradition of anchovy fishing. The small, beautiful fish tend to be caught in the warmer months between April and August when their flesh is at its plumpest. They are immediately gutted and filleted to allow all the blood to drain away and then meticulously placed in alternate layers with salt in traditional wooden containers, with a heavy stone on the lid to keep them pressed. They will stay like this for up to two years in order to obtain the famous colatura anchovy sauce, while a shorter time – around five months – is enough to produce the exquisite salted anchovies. Both are a staple of local cuisine, whether simply fried (plain or stuffed with cheese) or incorporated into the pasta dish spaghetti aglio e olio with colatura. Not too far from Cetara, driving (or sailing) south is the stunning Cilento coast, where the US researcher Ancel Keys ‘created’ the Mediterranean Diet, observing the healthy local food habits. Here is Pisciotta, another small fishing village famous for its anchovies. They’re known as menaica, from the name of the traditional wide fishnet used to catch only the bigger, fleshier anchovies. 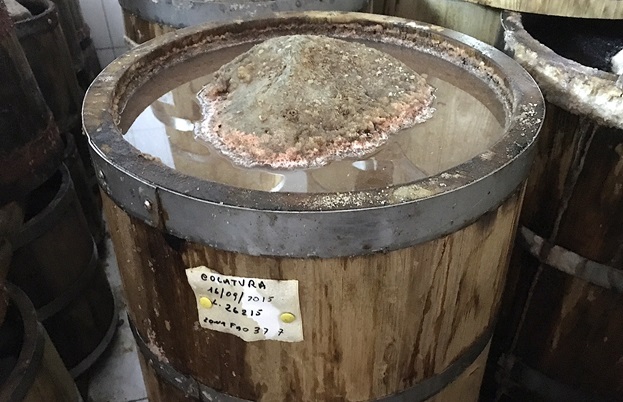 The salting and preserving process is very similar to Cetara, but usually here salted (as well as fresh) anchovies are eaten rather then used to make colatura sauce. 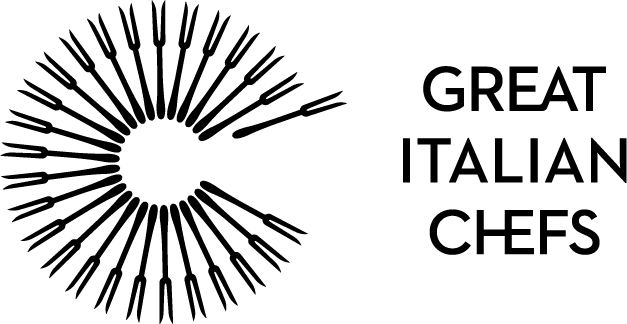 A tasty local recipe is the alici inchiappate; fresh anchovies filled with local cheese, eggs, garlic and parsley, coated with flour, fried and served with tomato sauce. Sicily has a strong tradition in fishing and preserving fish such as tuna, swordfish, sardines and – of course – anchovies. 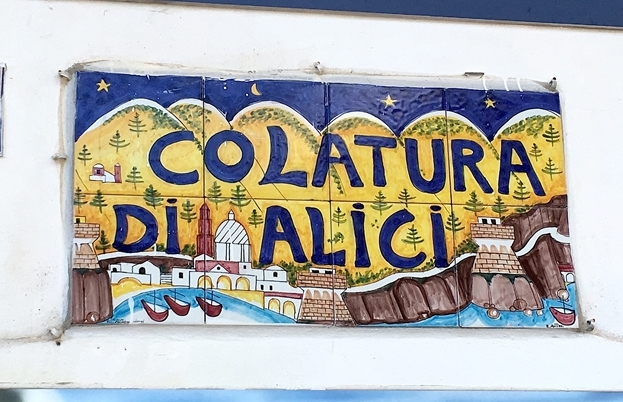 According to widespread opinion the best ones can be found in Sciacca, a fishing harbour on the southern coast famous for its fish canning industry. 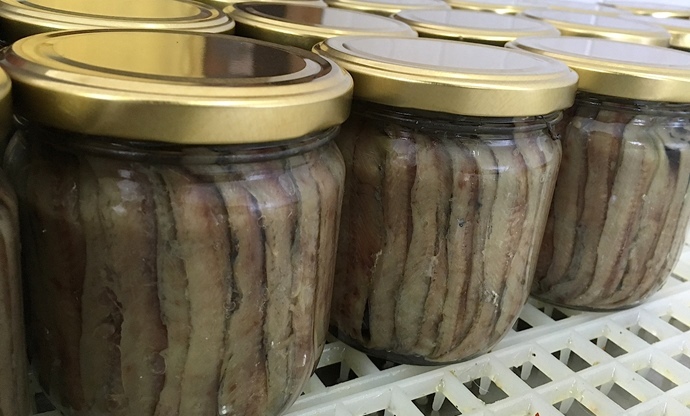 Local anchovies are traditionally caught in the open sea towards North Africa by lamplight, and they’re processed in a similar way to the Cetara variety. 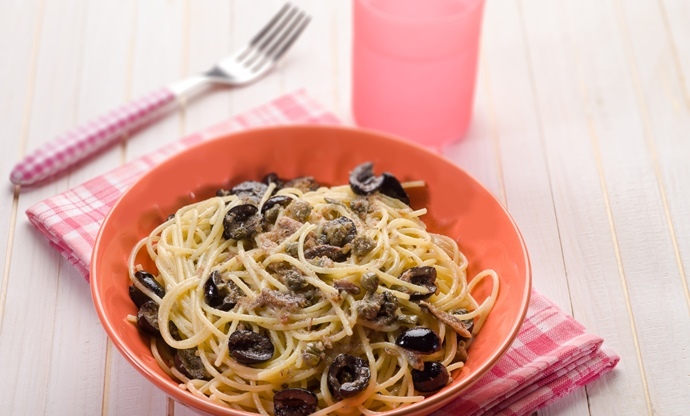 Salted or marinated anchovies add flavour to many local recipes such as pane cunzato (the traditional sandwich filled with tomatoes and other ingredients) or the delicious spaghetti seasoned with chopped salted anchovies, tomatoes, capers, olives and Mediterranean herbs.